Hall of the Mountain King: Review: Nevermore, "Enemies of Reality"
If you're not familiar with Seattle's reigning kings of melodic metal, it's time to get acquainted. 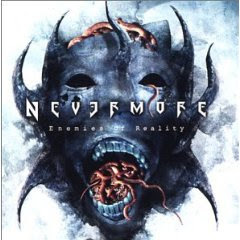 Nevermore's last two albums "Dreaming Neon Black" and "Dead Heart in a Dead World" set a high standard for the band, so they took their time crafting "Enemies of Reality." It was time well spent. While this album isn't incredibly different from Nevermore's previous offerings, it does seem to have a little more depth. "Enemies of Reality" has all the speed the band's fans expect on songs like the title track and "I, Voyager" and the progressive rock flair on "Noumenon." But there's also a mellower side that comes out on this album, it's a side that fans may have only caught glimpses of before. The most obvious manifestation of this is "Tomorrow Turned Into Yesterday," which is perhaps as close to a ballad as Nevermore has ever come. Warrel Dane's distinctive vocals warble between dramatic, soaring singers like Geoff Tate and Bruce Dickinson, but also occasionally drift into the snarls and growls of extreme metal. The rest of the band follows his lead, alternatively offering up spacey interludes, crushing riffs and ferocious bursts of speed. 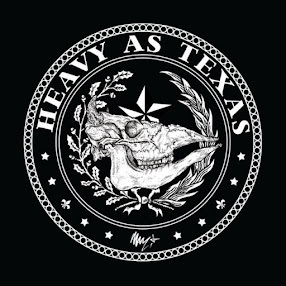 It's that versatility that sets them apart from other bands in the genre and makes Nevermore one of the best bands out there.